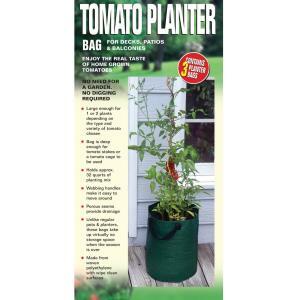 The Tomato Planter Bag by Bosmere is great for decks, patios and balconies. Now you can enjoy the taste of home grown tomatoes. No need for a garden. No digging required. 18" high with a diameter of 12.5"